POPS GUSTAV: The Pops Gallery: Richard Sala Superheroes! The Pops Gallery: Richard Sala Superheroes! 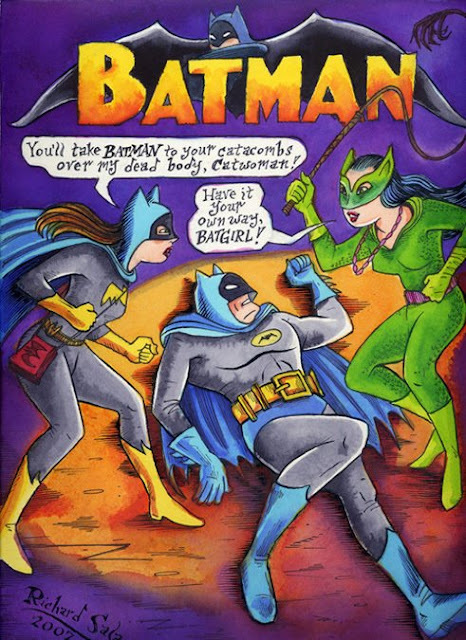 As someone who has an equal appreciation for superhero comics and what we used to call "alternative comics" (in the 1980s), I've always loved it when the two worlds collide, when an indie cartoonist who grew up loving mainstream comic books dips his pen into the well of nostalgia and draws a distinctive interpretation of some caped crusader. 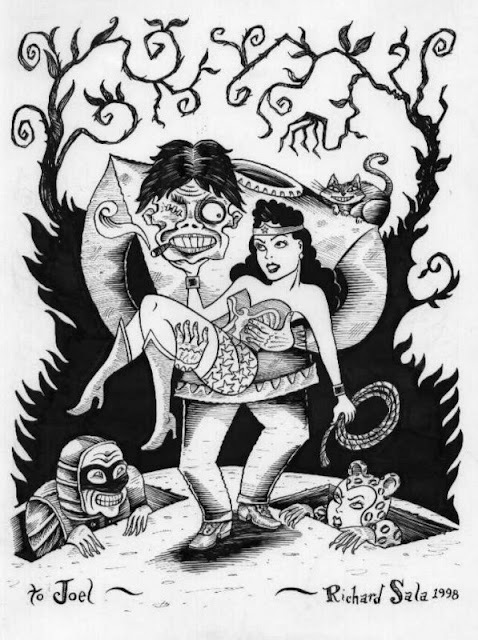 DC Comics' two BIZARRO COMICS / WORLD collections and Marvel's STRANGE TALES I & II (as well as other one-shots and backup stories in books with more adventurous editors) only whetted my appetite for this kind of crossover. 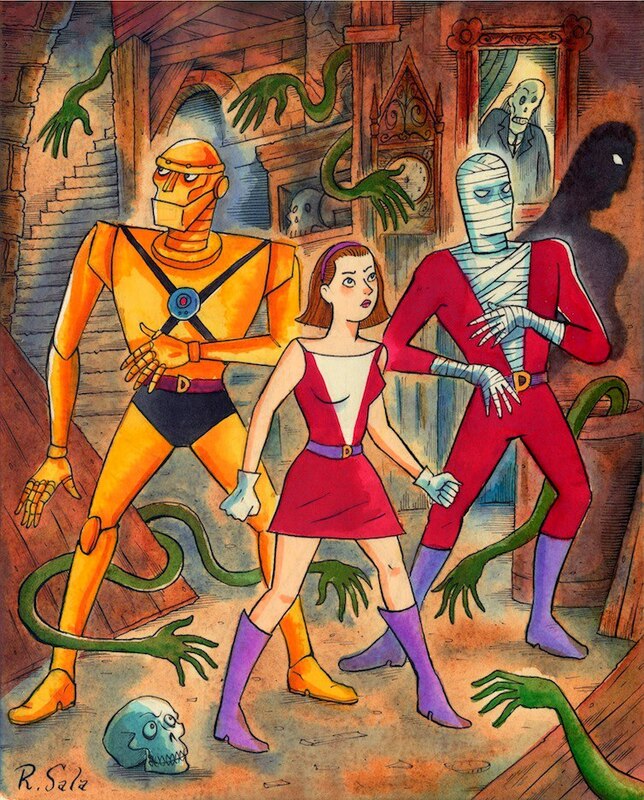 Glaringly omitted from any of the aforementioned titles was one of my favorite cartoonists, Richard Sala. Sala's work melds classic impressionism, vintage storybook illustration, and a whimsical sexuality into a style all his own. Sala's played with lots of genres in his oeuvre, but he hasn't really tackled superheroes.... except in pin-ups and illustrations done as commissions and for his own website, Here Lies Richard Sala. 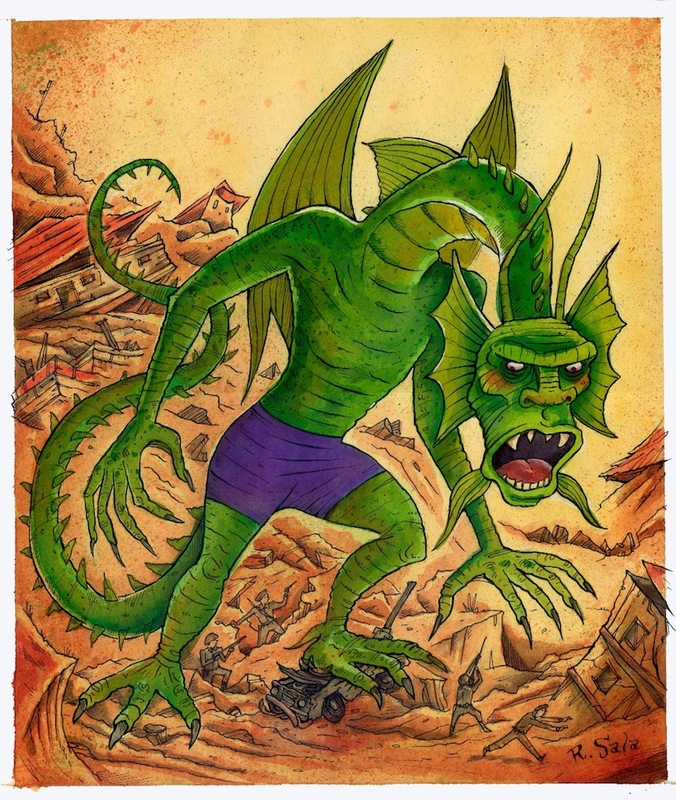 While his first love is monsters and madmen, Sala obviously also has an affinity for superheroes, and for this installment of the Pops Gallery, I've gathered a gallery of some of his amazing illustrations of costumed crimefighters (as well as a bonus pinup of Marvel's quintessential Silver Age Lee/Kirby monster, Fin Fang Foom). Sala reinterprets the cover of BATMAN #197 for the COVERED blog. 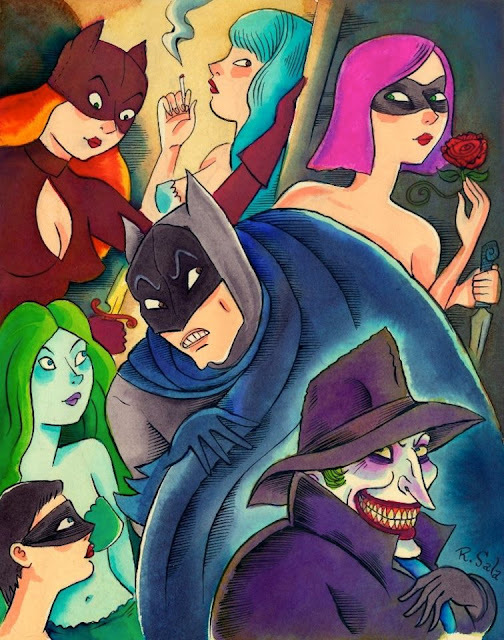 Batman plus villains plus naked ladies!